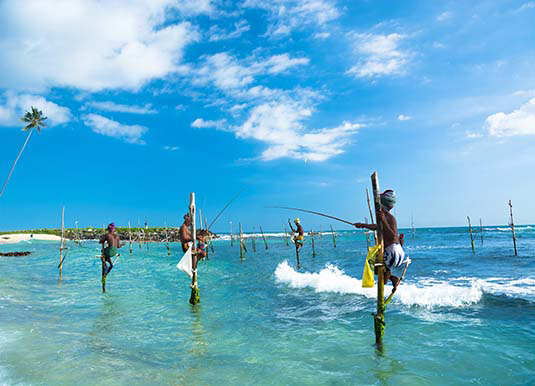 This glorious coast encapsulates Sri Lanka with its sleepy villages sheltering under countless palms, a wonderfully unhurried pace of life, colonial townscapes and local life that revolves around coconut farming, rice cultivation and fishing, particularly stilt-fishing. Factor in countless bays and gorgeous beaches and it's easy to understand why the south coast is such an attractive option for visitors. Gateway to the south is the charming town of Galle, which has a spectacular setting on the south western tip of Sri Lanka and is home to an atmospheric old port along with some perfectly preserved colonial architecture. At the heart of the city is the old Dutch quarter. Known as the Fort and now a UNESCO World Heritage Site, it's a lovely place to stroll and explore the winding streets, churches, stalls, shops and charming cafes. The nearby beaches offer wide expanses of sands to laze upon and clear waters with multi-coloured corals and a plethora of marine life that includes vibrantly coloured fish and sea turtles. The sleepy fishing town Weligama meanders around a broad, beautiful bay that is dotted with rocky outcrops and fringed with fine golden sand. At dawn and dusk you can see the iconic stilt fishermen as they cast out their nets whilst balancing precariously on poles planted into the sea bed. 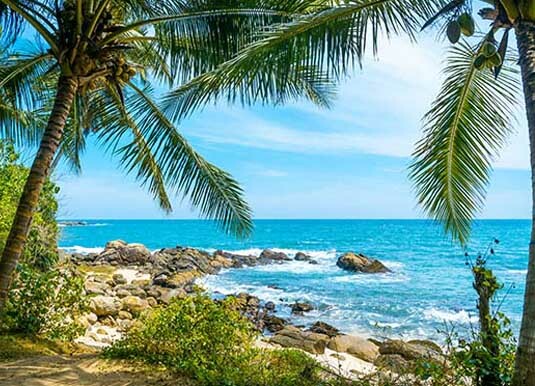 Nearby, the little village of Mirissa is renowned as the whale watching capital of Sri Lanka with large numbers of blue and sperm whales frequently spotted relatively close to shore while boat trips can be arranged between November and April. The town of Tangalle is home to stunning beaches, picturesque coves and gentle reminders of the colonial Dutch days of the 18th century. The lovely beaches are lapped by invitingly warm waters and are just perfect for swimming or exploring the reef. Within a short drive of Tangalle is the Bundala National Park, famous for its diverse profusion of aquatic birdlife as well as reptiles, crocodiles and a small population of elephants. Hambantota, which overlooks the pristine southern coast, is renowned for its richness of natural beauty, wildlife and heritage sites, including dagobas and viharas. 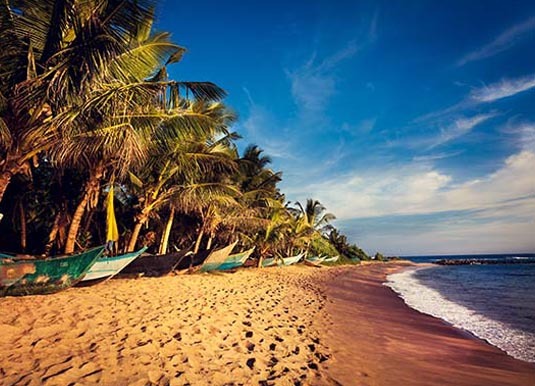 Along with sweeping sandy beaches Hambantota is within easy reach of Yala National Park and the bird sanctuary at Bundala. Why visit South Coast Beaches? 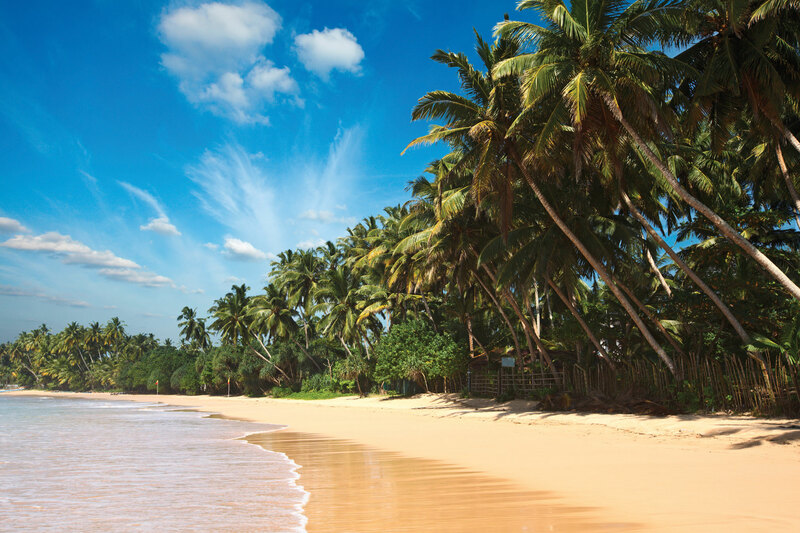 Call and speak to one of our travel experts who have experienced South Coast Beaches personally. Sri Lankan rupee. Travellers cheques are not accepted. The drive from Colombo airport to Galle is approximately 2 hours; Weligama is 2.5 hours and Tangalle is 3.5 hours. The south coast’s weather is governed by the south western monsoon. Average temperatures throughout the year rarely drop below 30ºC but the sunniest weather is from November to April, while rainfall is at its highest between June and September.